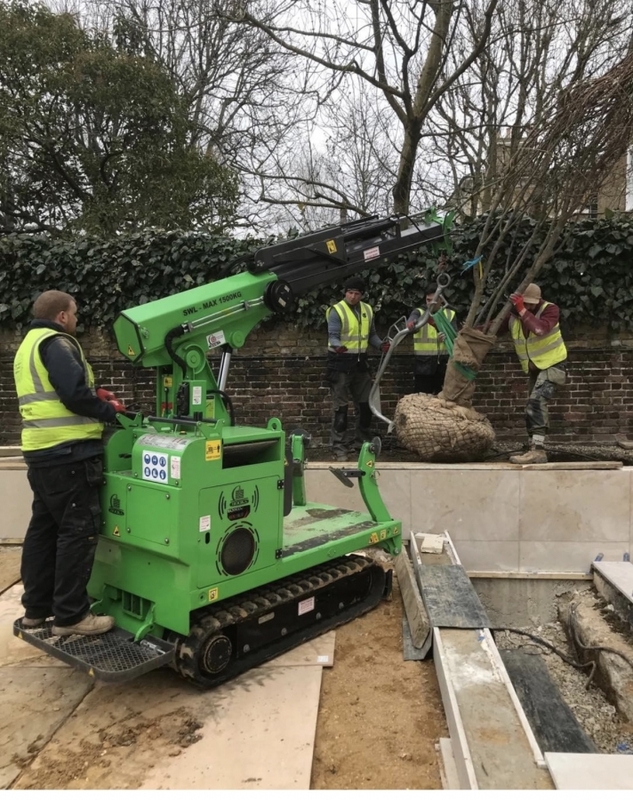 Our specialist team can either provide training on the use of the Hooka when it is delivered to your site OR we can provide an operator to drive the machine for you. 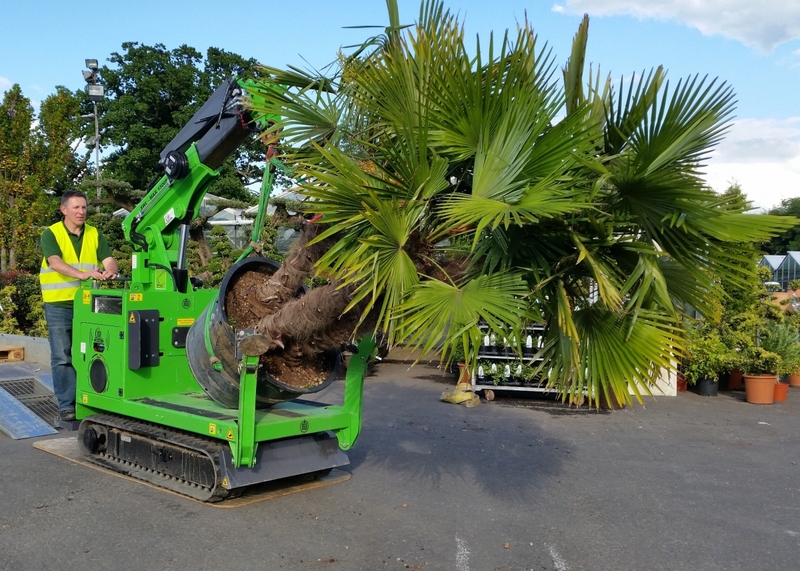 Either way the Hooka will take the stress and strain out of planting your specimen trees. 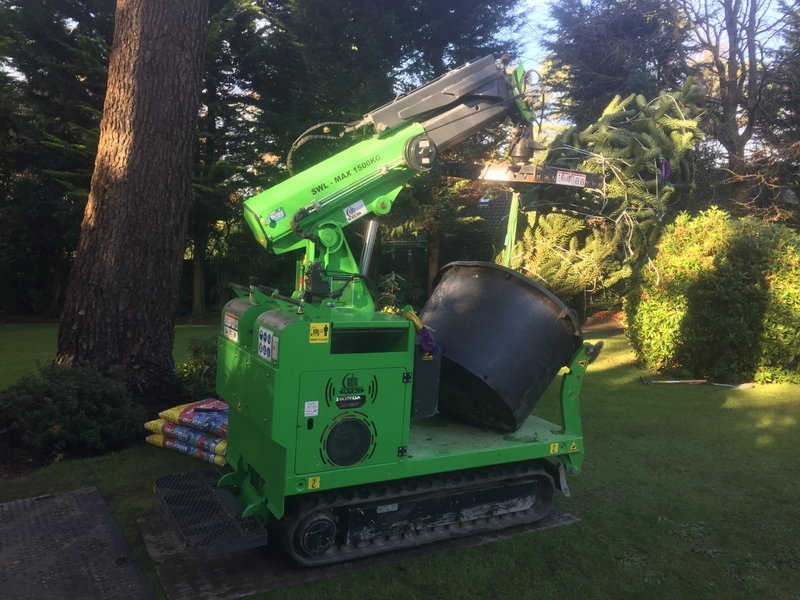 To arrange your contract lift, complete the form below or call us directly on 01462 499 642. 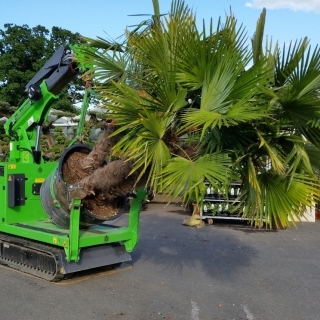 Lifts and carries specimen trees from the roadside into the heart of any landscaping project. 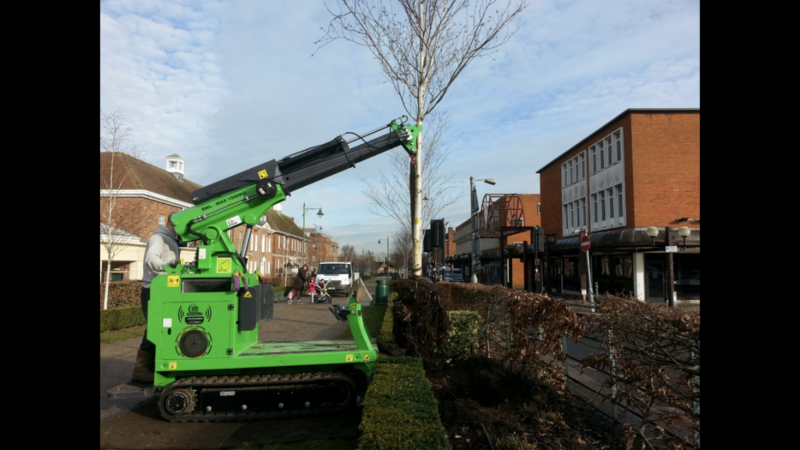 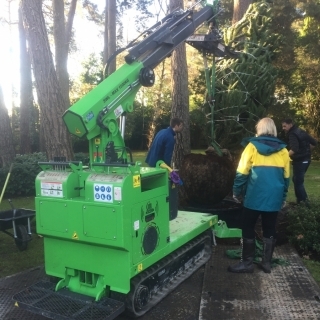 Safely lift and carry heavy specimen trees of up to 1.2 tonnes. 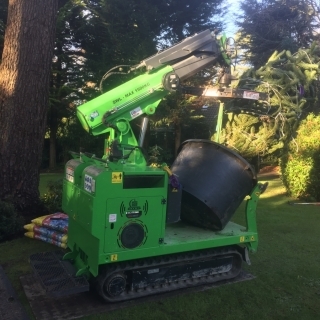 The perfect machine for restricted access sites, the Hooka is only 1 metre wide! 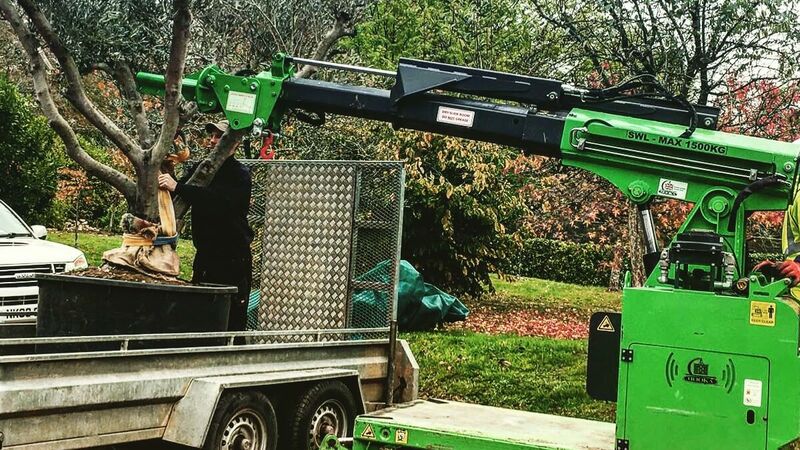 Designed and built in Great Britain. 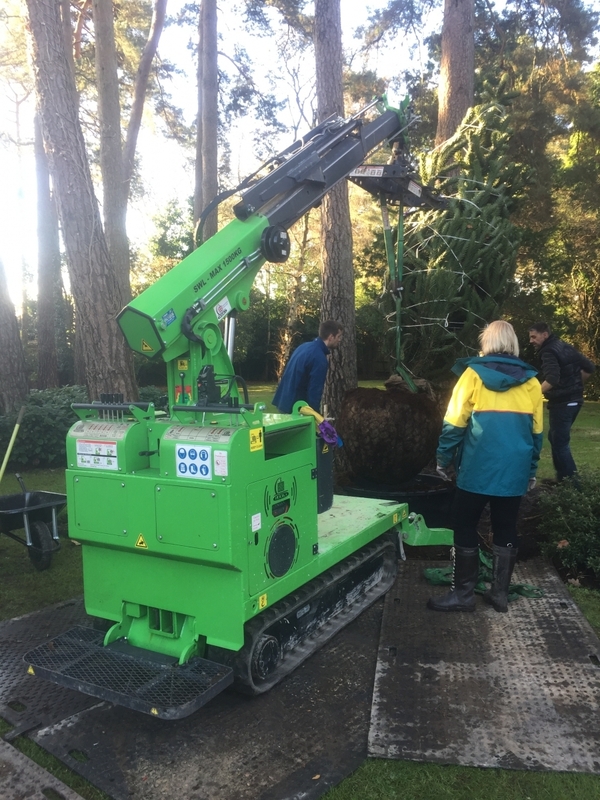 With it’s specially designed fly jib and selection of special equipment such as dutch tree hooks, the Hooka easily and safely transports and plants your specimen tree without damage. 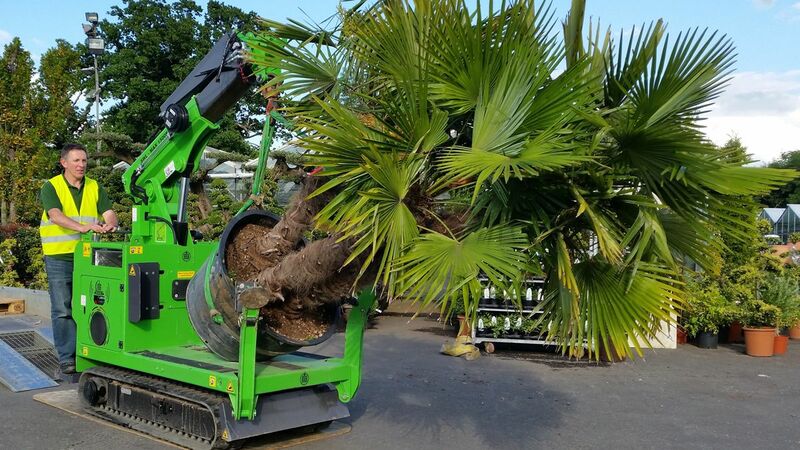 Plus with it’s stable platform and long reach, the Hooka can place your specimen tree exactly where needed. 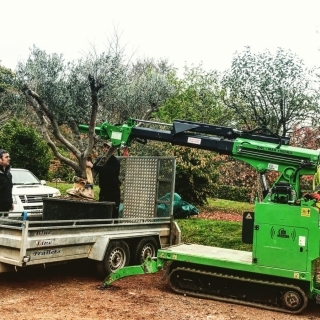 Below you will see examples of the Hooka safely transporting and planting trees of various varieties, including deciduous and evergreens. 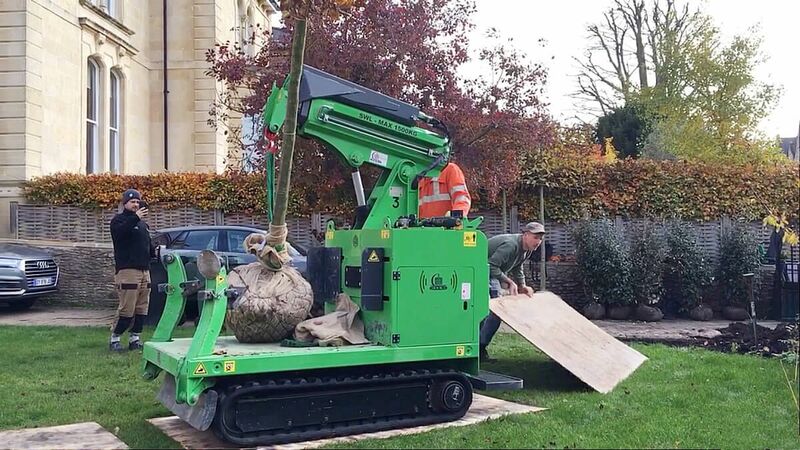 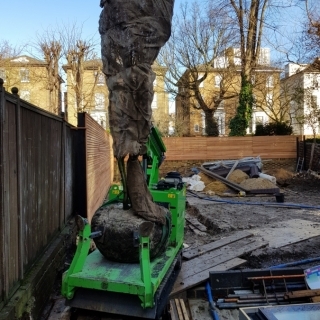 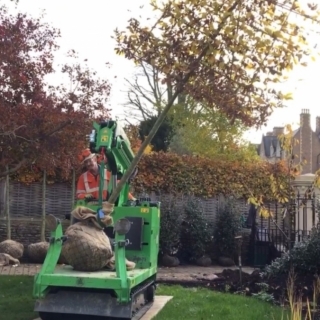 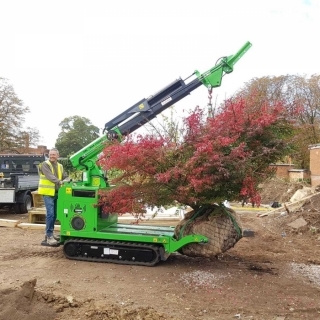 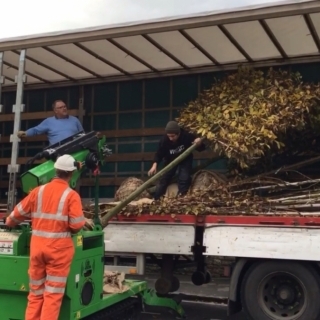 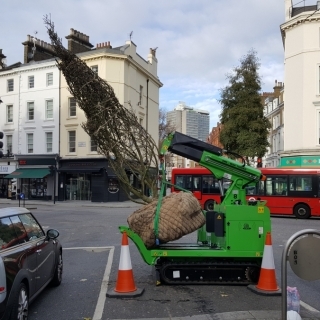 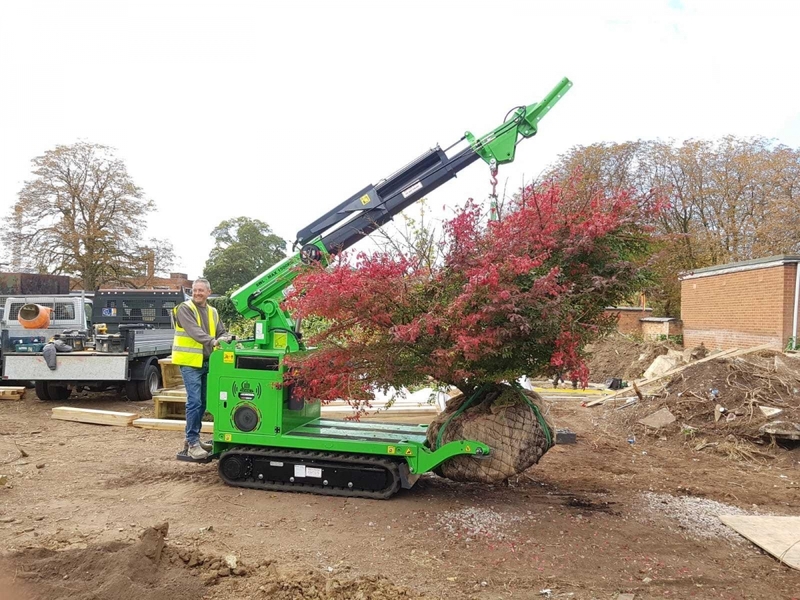 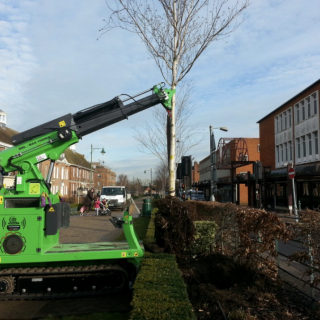 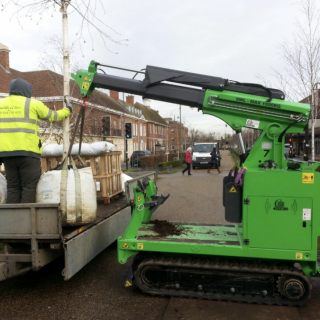 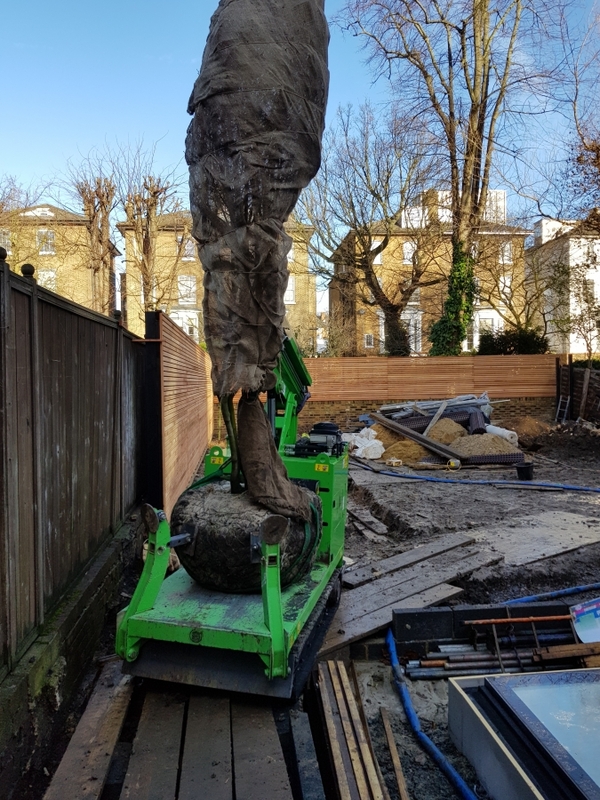 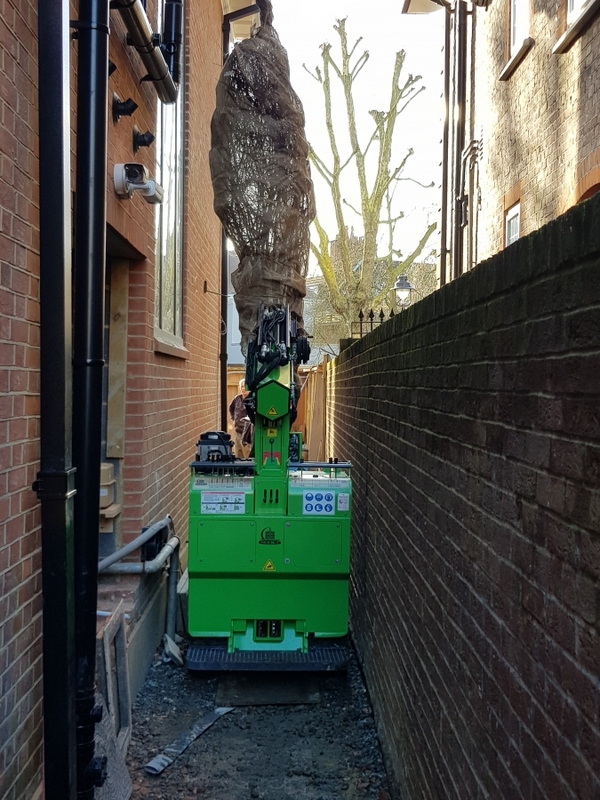 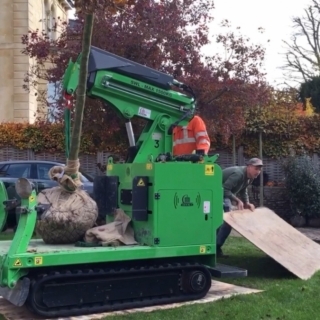 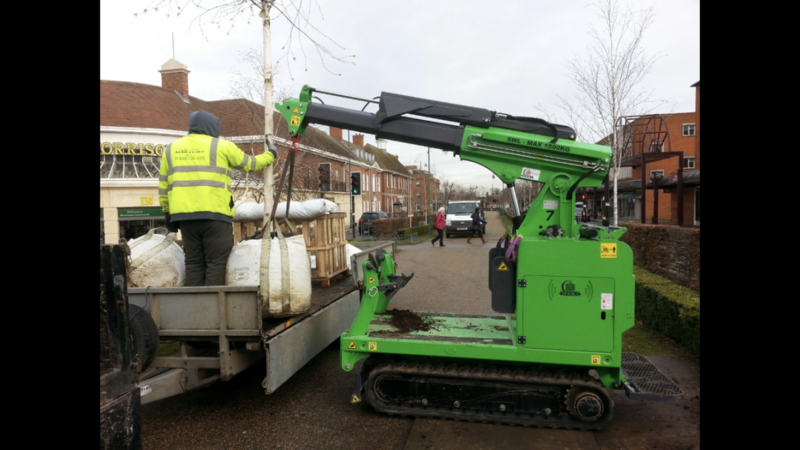 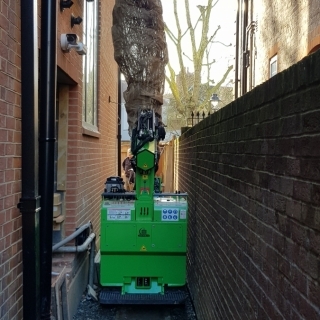 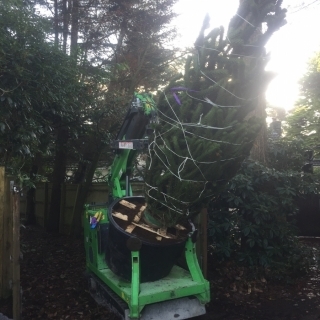 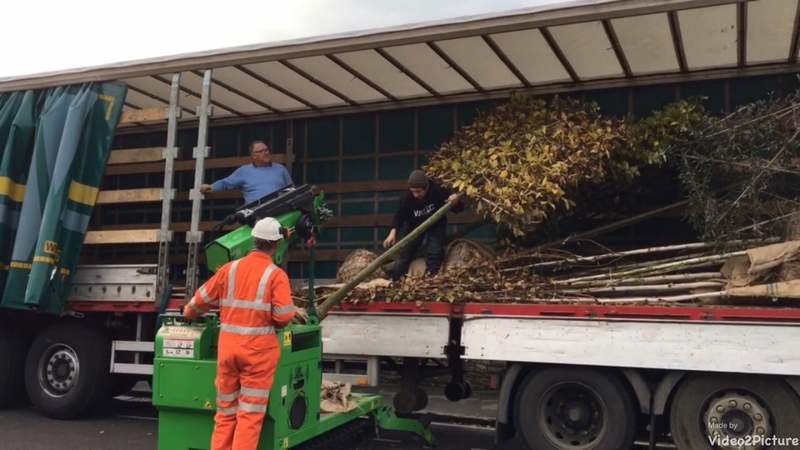 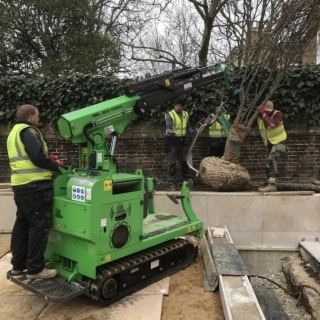 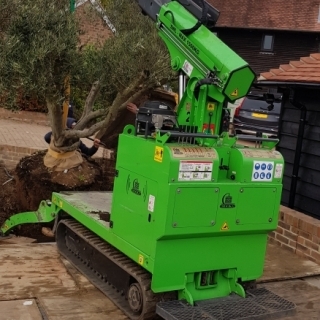 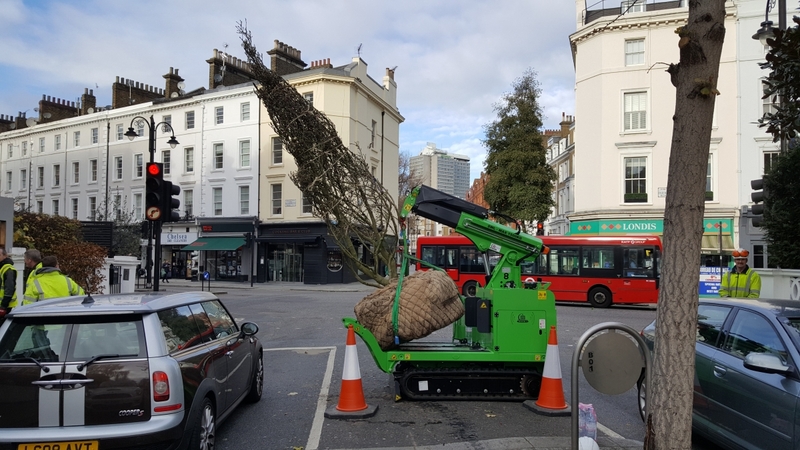 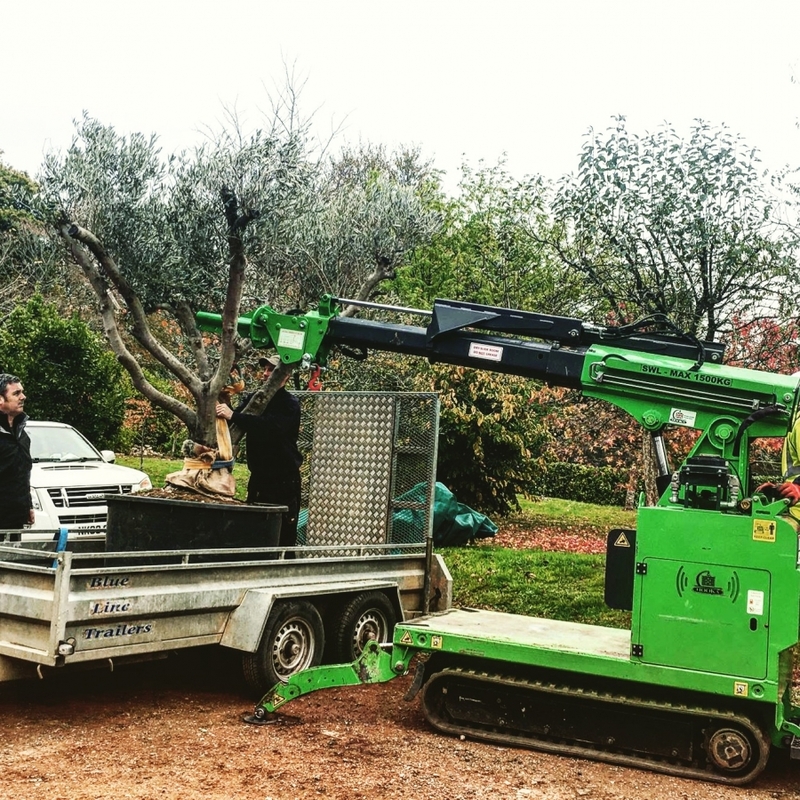 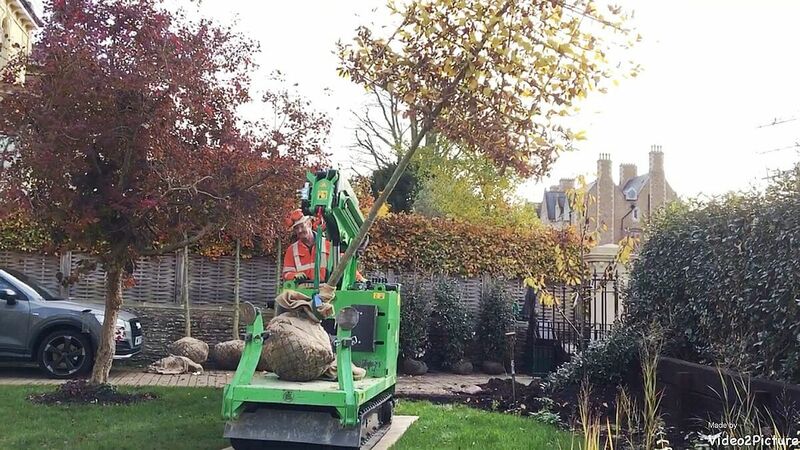 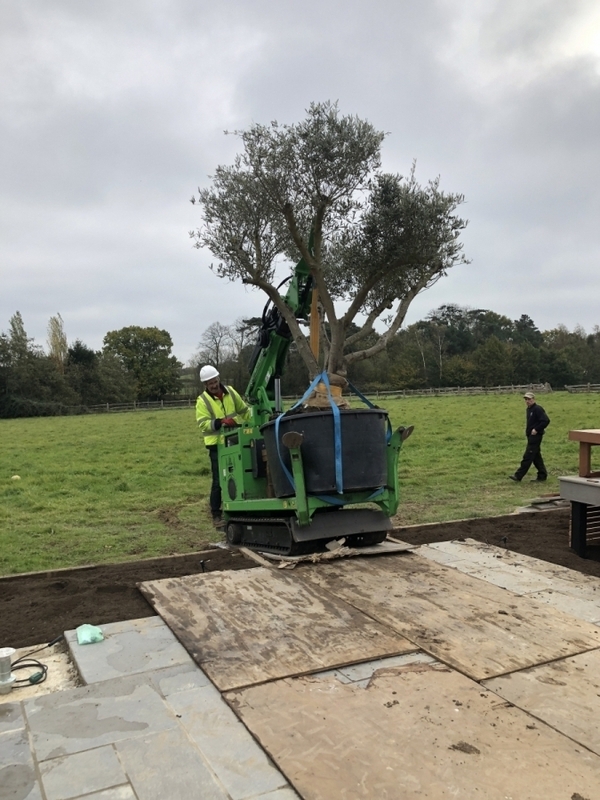 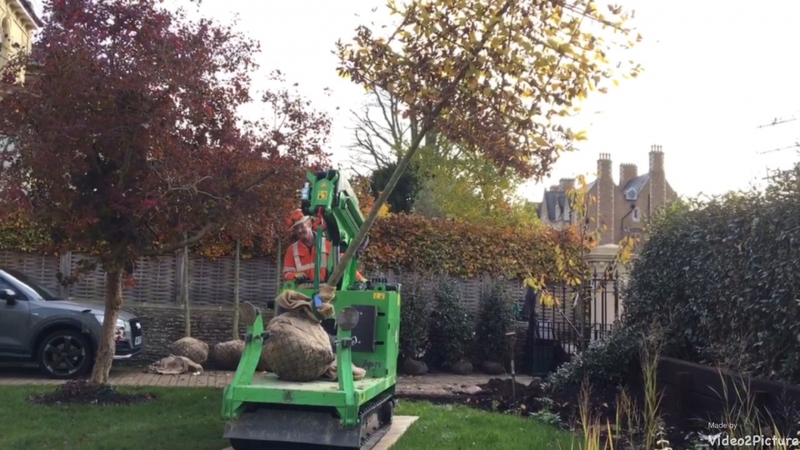 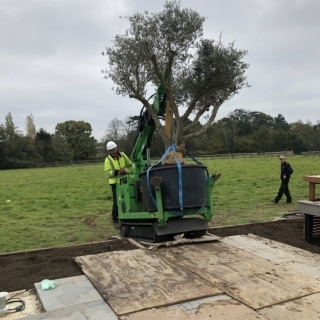 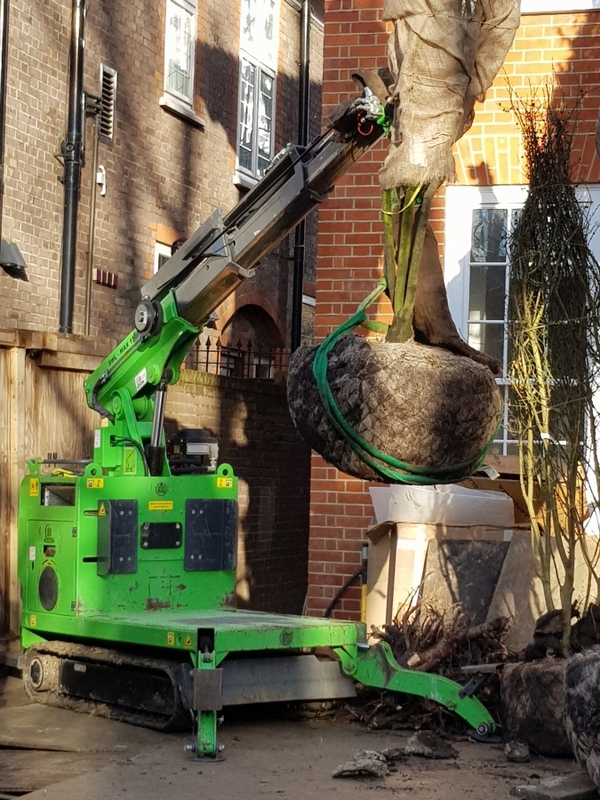 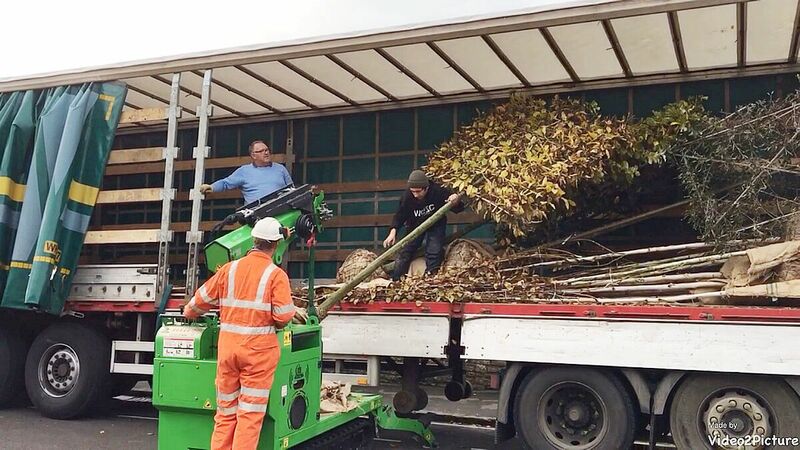 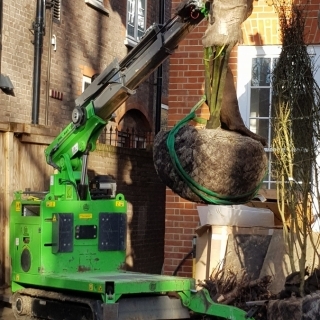 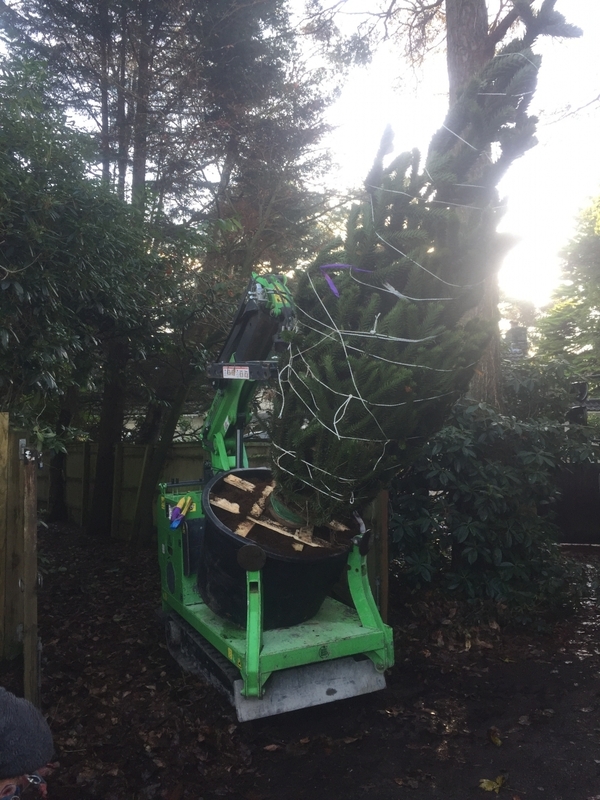 The Hooka was hired by Creative Roots to safely and easily lift, transport and help plant 5 multi-stem Amelanchier rootball trees – supplied by Deepdale Trees Limited, each weighing 250kg, from the delivery lorry to a walled garden for a property near Nottingham.